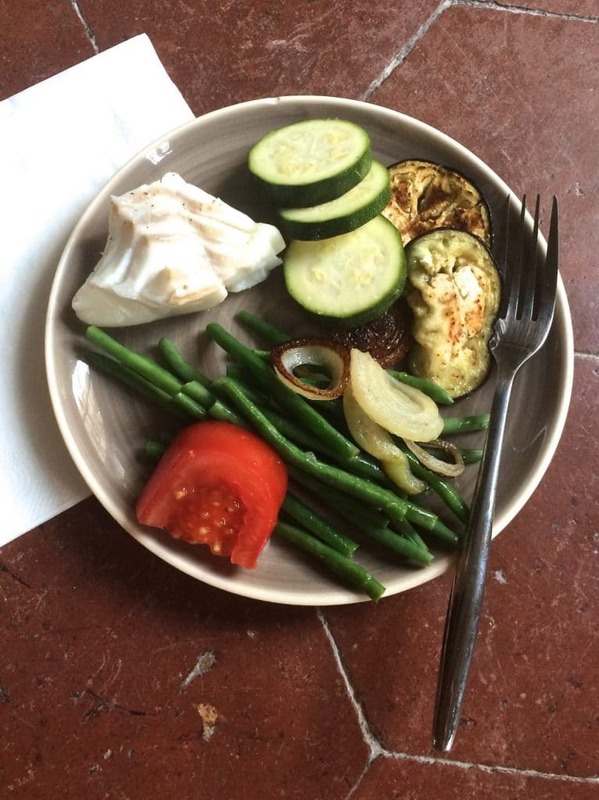 This post is part of a series recapping all of the wonderful gluten free and (mostly) paleo-friendly meals that I ate during my recent two-week trip to Europe, including what and where I ate. 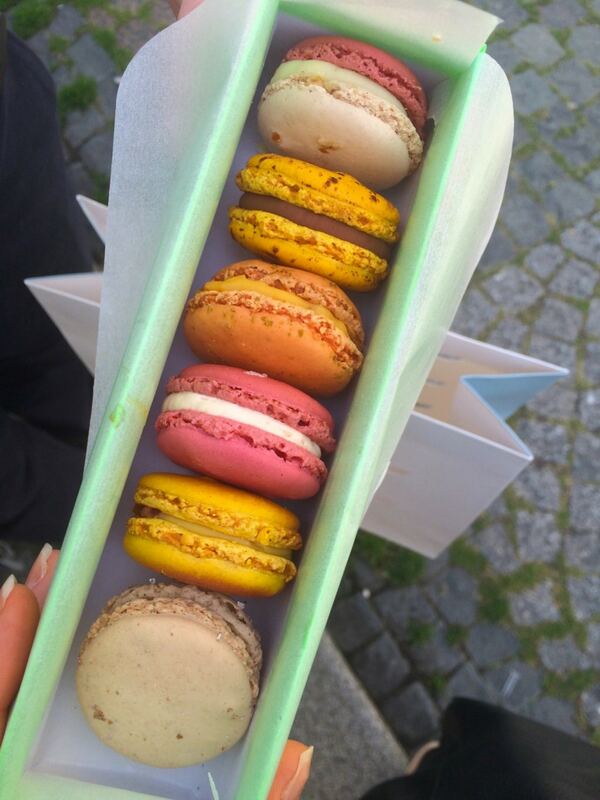 If you missed Part 1 of this series, catch up on what to eat in London here! 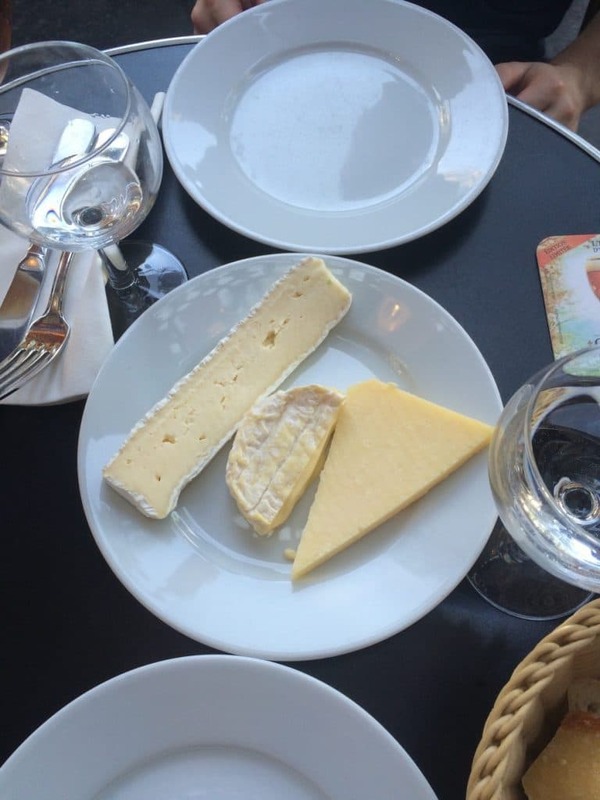 We arrived in Paris from London via the Eurostar train (the Chunnel) late in the afternoon and, after dropping our bags at our wonderful Air B&B apartment (<— use that link to get $25 off of your first booking), we headed out to dinner. 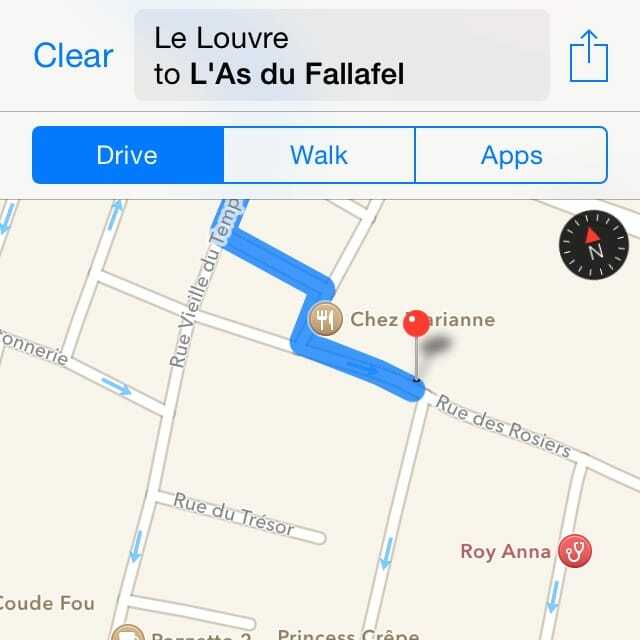 We stayed in my favorite area of town, near the Latin Quarter and Luxembourg Gardens. It’s an area I know well from my college study abroad, so I enjoyed showing Bryan around the neighborhood and letting him choose where to eat. 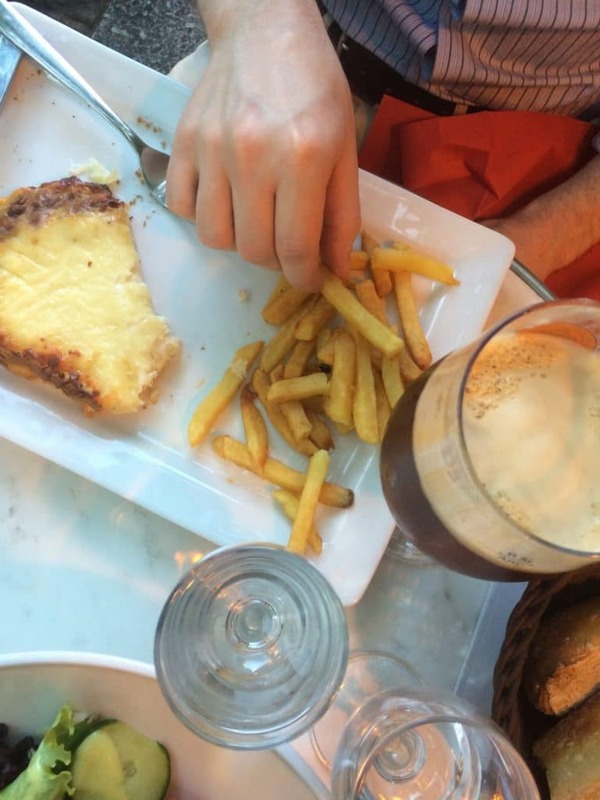 He chose a quintessential French brasserie called Les Patios, on the plaza overlooking the Sorbonne and near the Luxembourg Gardens where we ordered a couple of quintessential-if-stereotypical dishes: Salade Nicoise for me, and a croque monsieur with “frites” for Bryan. 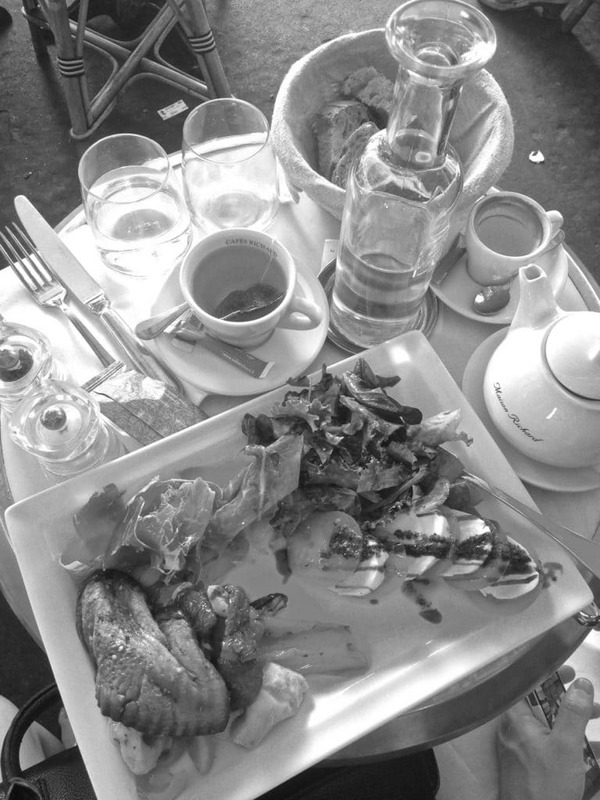 Even though it was a casual, student-friendly brasserie – nothing particularly special – the food was sublime. That may have been partly due to the side of “just made it to Paris wheeeeee!” but I can’t tell for sure. 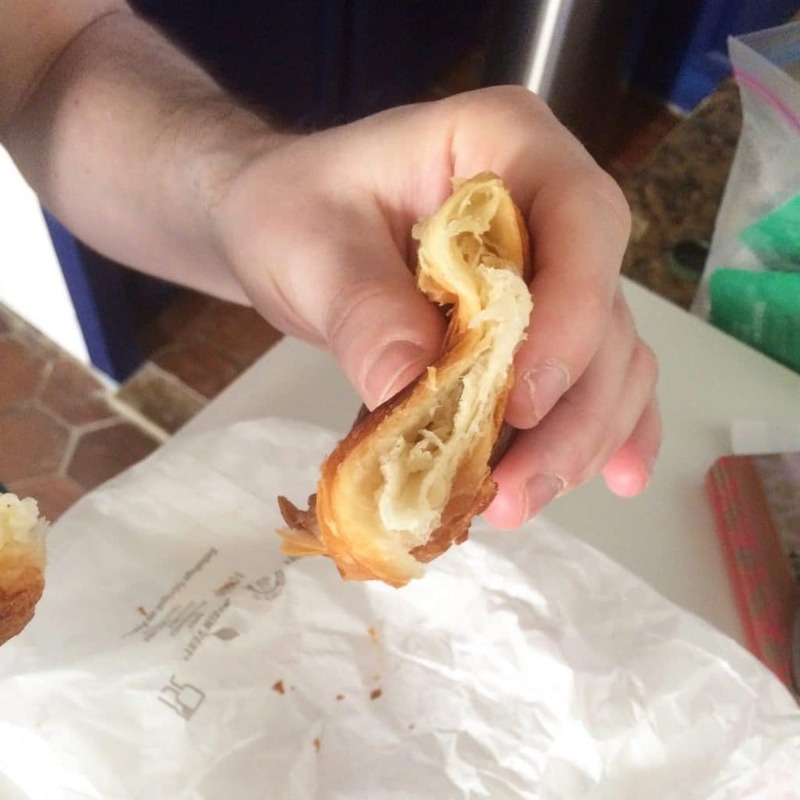 We woke up on our first full day in Paris and ran out for groceries: super fresh eggs (many small grocers in France don’t even refrigerate the eggs, they are so fresh), a few vegetables and fruits, and, from the bakery next door, a fresh croissant for Bryan. We had no real agenda that day, except that we knew it was going to be approximately 1,000 degrees outside, so we thought we’d be smart and beat the heat by going to the catacombs. It turns out that practically every other tourist in the city had the same idea, so we arrived to find a line stretching halfway around the block, barely moving, and providing little shade. Needless to say, I vetoed that idea on the spot because I was on vacation, not doing time. So, we just kept walking down Boulevard Raspail toward… well, I don’t think we were walking anywhere in particular as much as following some fuzzy deja-vu-ish memory that had come over me. Who needs a map!? Soon enough, we were ready for a break so stopped for coffee at another of the understated neighborhood brasseries that Bryan had quickly become obsessed with (and I certainly don’t hate), called Charivari. We parked ourselves in the merciful shade of a giant red awning and people-watched for awhile, which, of course, was so taxing that we eventually worked up enough of an appetite to order lunch. 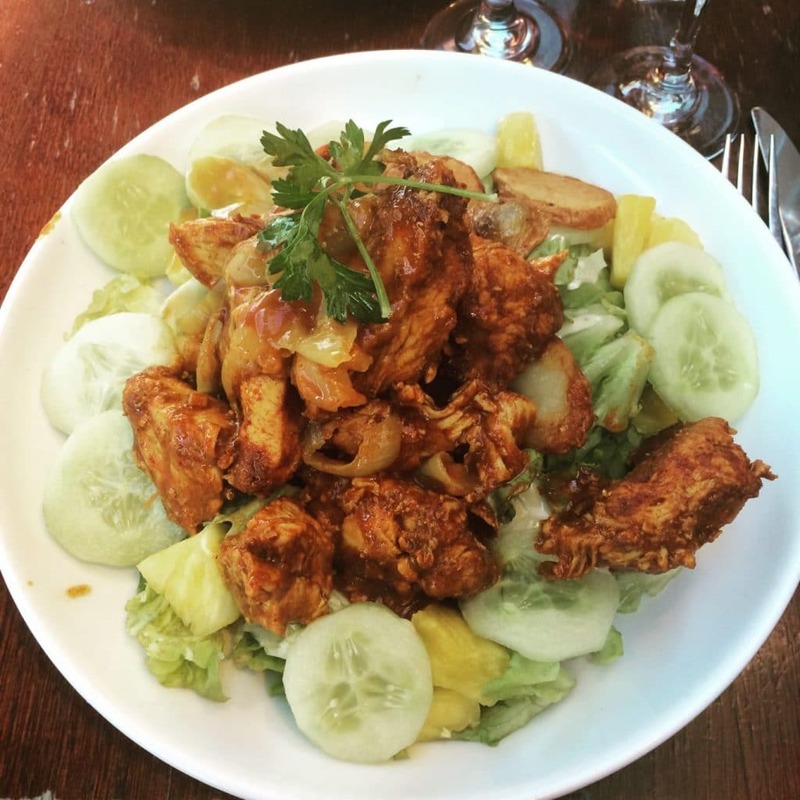 Most brasseries had several salads and protein-and-vegetable options for me to choose from, so I never had a problem finding something to eat. This time, we ordered the lunch special to split: an antipasti plate with roasted vegetables, parma ham, caprese salad (with real buffalo-milk mozzarella) and a green salad. 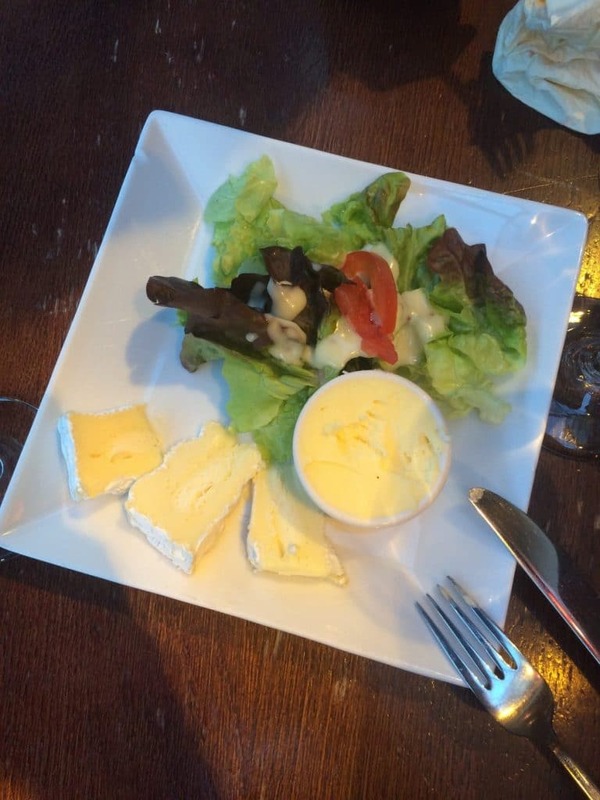 This was the first of many forays into cheese that I undertook on this trip and the quality of the milk that they use, especially in France, is so outstanding that it was never a problem for me. After Charivari, we actually decided to head back to the Catacombs to see if the line had dwindled at all, but if anything it had just gotten longer. So instead, we hopped on the metro and went to the Eiffel Tower instead. To be honest, I am not the biggest fan of the famous tower, or rather of the tourist hoopla surrounding it, but this time it was fun to go with Bryan who was just riveted by it. We didn’t climb it but walked around and around it, finally collapsing from heat, thirst and exhaustion at a Firmine for some drinks, more people watching and a view of the Tower. Since we were hungry but it was too early to eat, Bryan ordered a cheese plate, which consisted of three generous hunks of cheese (brie, camembert and something a little firmer and sharper that I can’t remember the name of), which I simply had to help him eat because he wasn’t a huge fan of the camembert and stinky cheese are my favorite, so we couldn’t very well let it go to waste. (I think that’s a capital offense in France.) Though that, some water and a beer was all we ordered, I was shamelessly oogling the table next to us, where a family ordered seemingly everything on the menu and it all looked amazing. After Firmine, I dragged Bryan to the grocery store down the block, both because I really believe that grocery stores are a wonderful window into a culture, and because I was dead set on cooking dinner at our apartment that night. 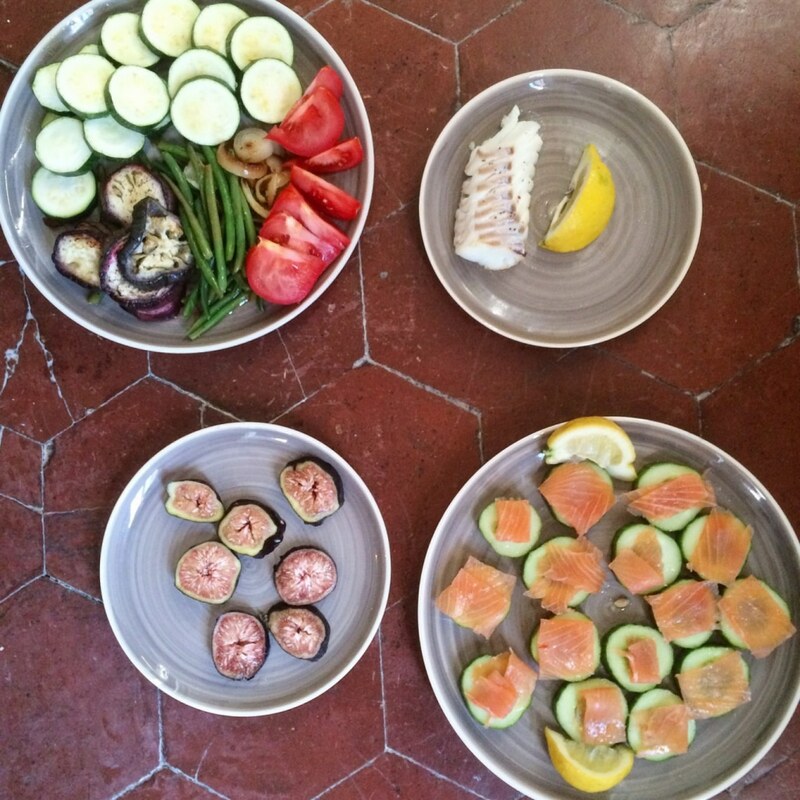 Cooking with all of the wonderful ingredients France has to offer was something I had been looking forward to for a long time, and I was also getting really sick of eating out and wanted to have a homemade meal to give my body a break. After getting produce, smoked salmon and chocolate at Franprix, we went around the corner in search of a butcher shop I had seen when we were heading to Firmine. Instead, we stopped at an adorable hole in the wall no-name fish monger, mostly because its blue awning caught my eye before the maroon awning of the butcher next door. I can’t remember the name of the fish we got, but it was similar to cod. Once we got home, I just made all of the veggies we had on hand from the local grocery store and the place near the Eiffel tower- zucchini (sauteed in olive oil), eggplant (raw, with olive oil and salt), onions (slightly caramelized), green beans (lightly steamed) and tomatoes (raw with olive oil and salt) – plus the fish, kinda poached, but also kinda over-poached because convection stoves confuse me, with a squeeze of lemon. 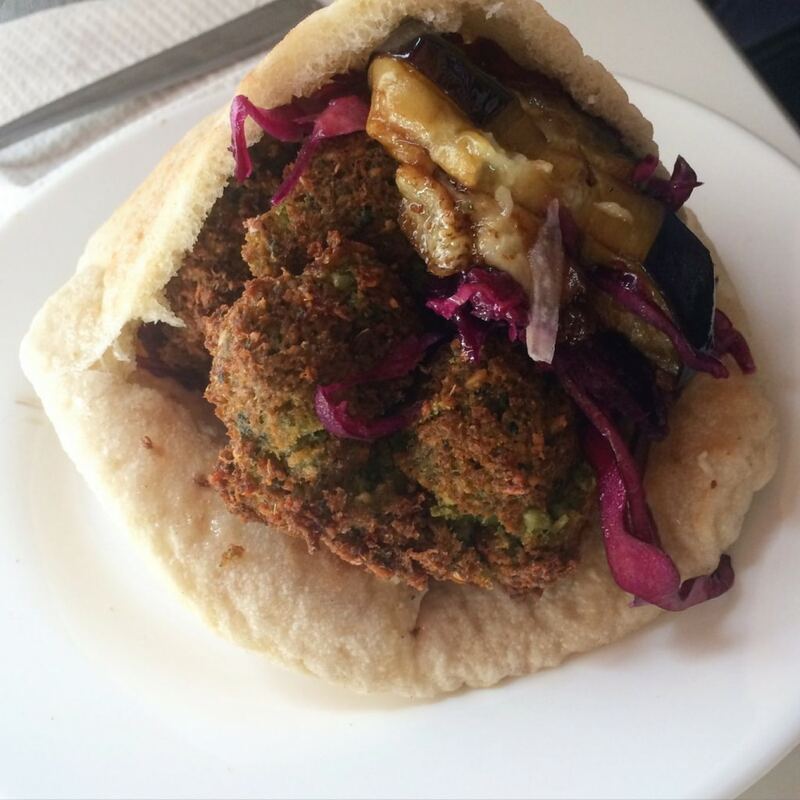 On the morning of Day 5, I woke up with one simple goal: falafel. 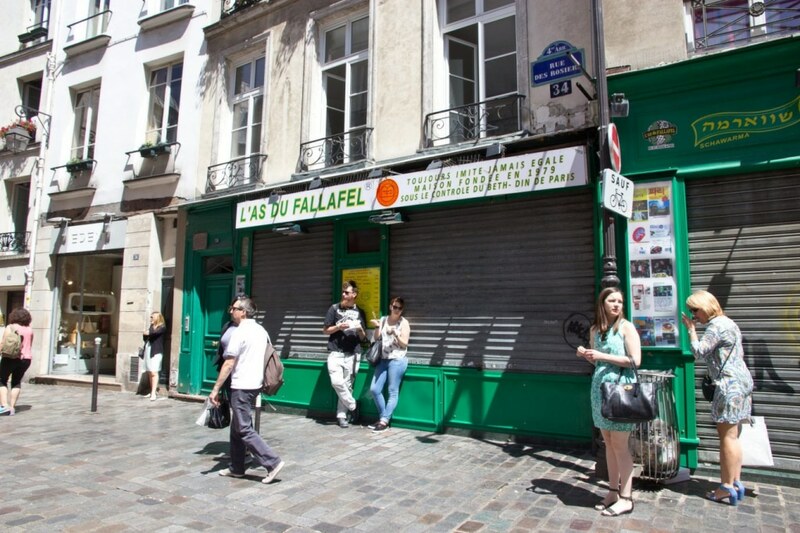 Not just any falafel, but the best falafel, according to two very trustworthy sources, Erika and David, at L’As du Fallafel in Le Marais, which would then fuel us through the Louvre. 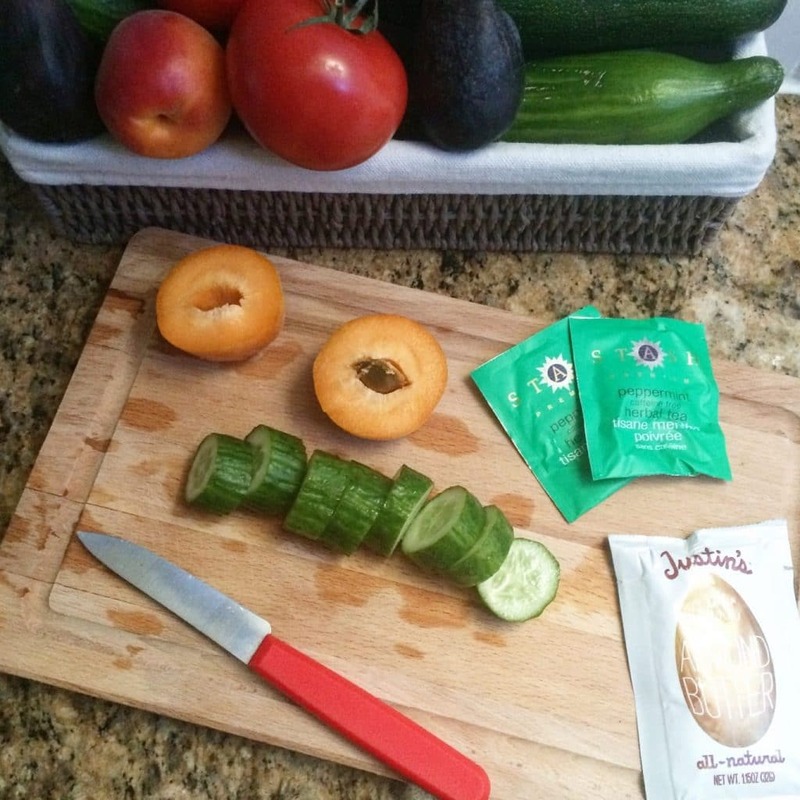 Since I was saving myself for a big lunch, I had a small breakfast in the Air B&B of apricots, cucumbers and one of the almond butter packets I brought from home. So, after all that preparation and anticipation, we sidled up to L’As du Fallefel to find it…closed. Luckily for us, all we had to do was turn around to find another option that promised to be just as good (judging from the length of the line in front of it). 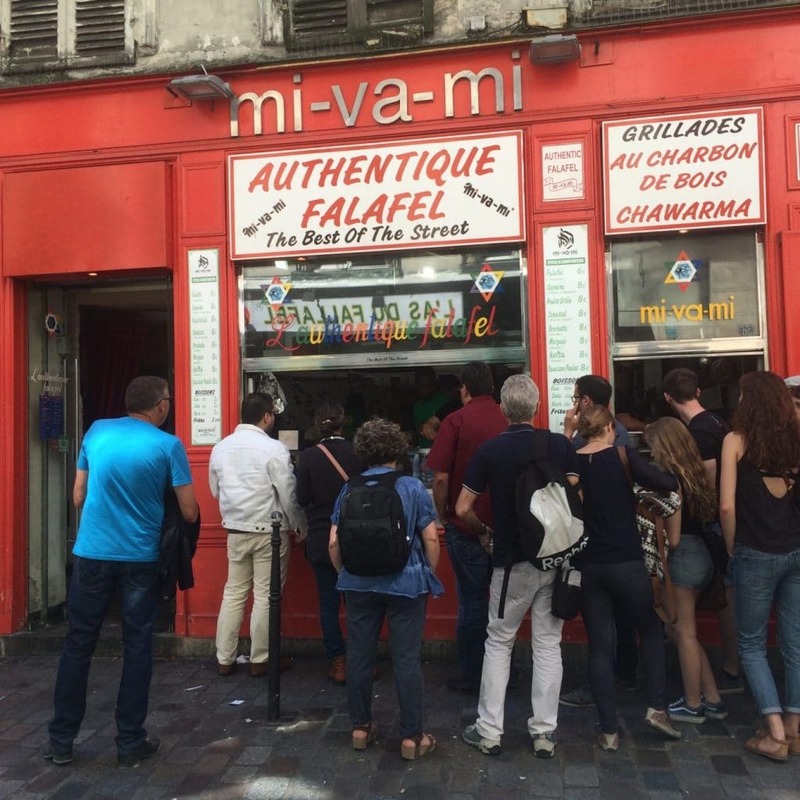 Miraculously, Mi-Va-Mi was able to seat us right away and promptly fed us some of the best falafel I’ve had. It wasn’t just the falafel itself that blew me away, but the way it was dressed, with hummus, yogurt sauce, slaw, and roasted eggplant. I ordered the falafel sandwich and just ate the filling and left the pita, but if you are in the mood for more food and less waste, there were plenty of platter options that weren’t served on bread. You can also get chicken or lamb shawarma instead of falafel if you want to stay grain/legume-free. From there, we went the Louvre, Champs Elysee and Arc de Triomphe. The line at Laduree on the Champs Elysee was too long so I didn’t get any macarons, but that meant that I was starving for dinner by the time we got back to our neighborhood. We meandered along boulevard Port Royal (where we got off the metro) carefully assessing each restaurant’s menu, as is the French way, until we finally decided they were all basically the same and picked the one we were standing in front of. It was Le Crystal Brasserie, and it was basically your standard menu, with the addition of wood fired pizzas, which Bryan got. 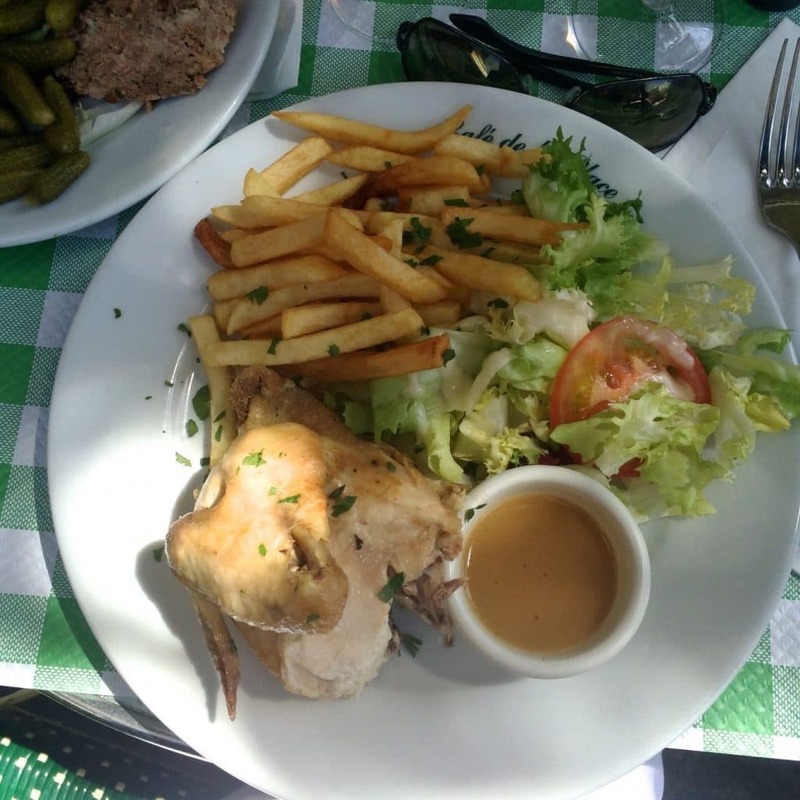 I settled on roasted chicken, which sounds boring, but is actually a hallmark of Parisian brasserie dining, if you know where to go. Apparently I didn’t because this chicken was good, but not great, and way over salted. As a result of the less-than-stellar chicken and skimpy salad, I was forced (“forced”) to fill up on fries, which mostly served as a vehicle for the outstanding dipping sauce meant for the chicken. Though Bryan loved his pizza, this was the only restaurant we ate at in Paris that I wouldn’t recommend because, in my opinion, if you’re a Parisian brasserie and you can’t make a decent roast chicken, you’re dead to me. 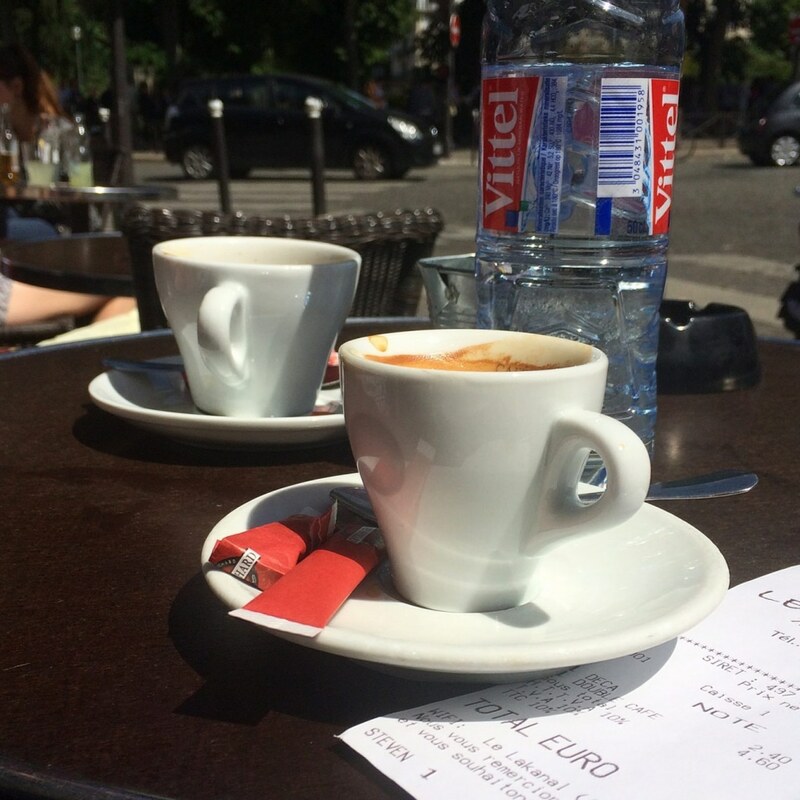 After a boring breakfast of scrambled eggs at the apartment, we ventured out for coffee which, in France, never means a paper cup of drip brew to go. It means you sit, you sip espresso (it’s hard to find drip coffee in Parisian cafes) and you relax and socialize or people watch. The original plan was to try the catacombs again, but this time the line was nearly all the way around the block, so we finally gave up on that plan and resolved to just come back to Paris sometime (that seems like a good compromise, right?). Instead, we walked south west toward my other old stomping grounds from my study abroad, and also from a previous trip, Montparnasse. Montparnasse is (in)famous for its hideous black office tower, which sticks out like a sore thumb among the low-rise, old world stone architecture that surrounds it. As a way to make the best of a bad situation (and, I assume, appease the city and the neighbors), the upper floor and roof has been opened up as a tourist attraction, as it is the highest vantage point in the city – and, as a bonus, when looking out onto the city from the ugliest monument, you mercifully don’t have to see the ugliest monument. Everyone wins! Well, not quite, because the viewing deck is so high that the whole city looks like it is made of legos. So, not such a great view. But after the tower view, we had a great jumping off point to explore the neighborhood. I brought Bryan back to many of the places I was familiar with as the fuzzy memories rushed back, including a brasserie where my friends and I drank French martinis and inhaled crepes when we visited during spring break in college. It was nice to see how much hasn’t changed in [redacted number] years. The brasserie is generically called Cafe de la Place (basically “plaza cafe”, a plaza being an open area on the sidewalk, which is extremely common in Paris) and it was here that I finally got my roast chicken fix, and, as a bonus, the waiter actually told me my French was “pas mal” (not too bad). Score! 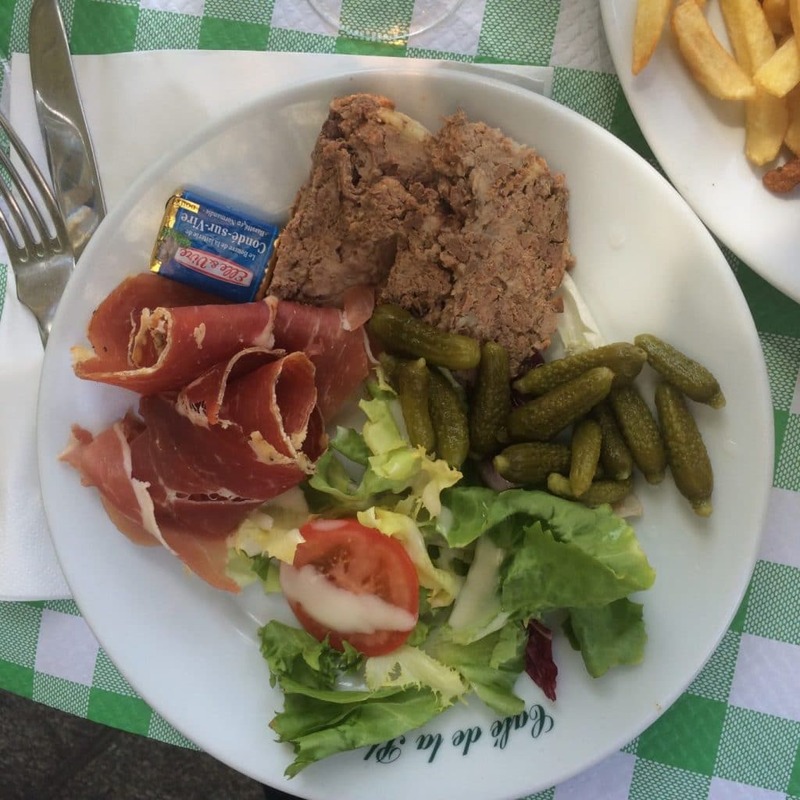 Meanwhile, Bryan (whose French was pronounced “tres mal” – he handles Spanish in our family), had a charcuterie platter with pate, cured meat, salad and gerkins. Confession: I ate all of the gerkins. Oops. Though they brought us a small bread basket for the table, which we didn’t eat much of, the meal was otherwise entirely gluten free and, except for the fries, paleo too. That wonderful meal gave us the fuel we needed to walk all the way to Pierre Herme (Rue Bonaparte location, in case you’re curious) and wait in line for some of the best macarons of my life. I think that everyone is either a Laduree person of a Pierre Herme person. I’m sitting firmly in PH’s camp 😉 The technique is impeccable, of course, and the macarons are slightly oversized, delicately crisp on the outside and chewy, yet tender, on the inside. That is just the beginning though, because you should taste some of the flavors they are churning out right now. 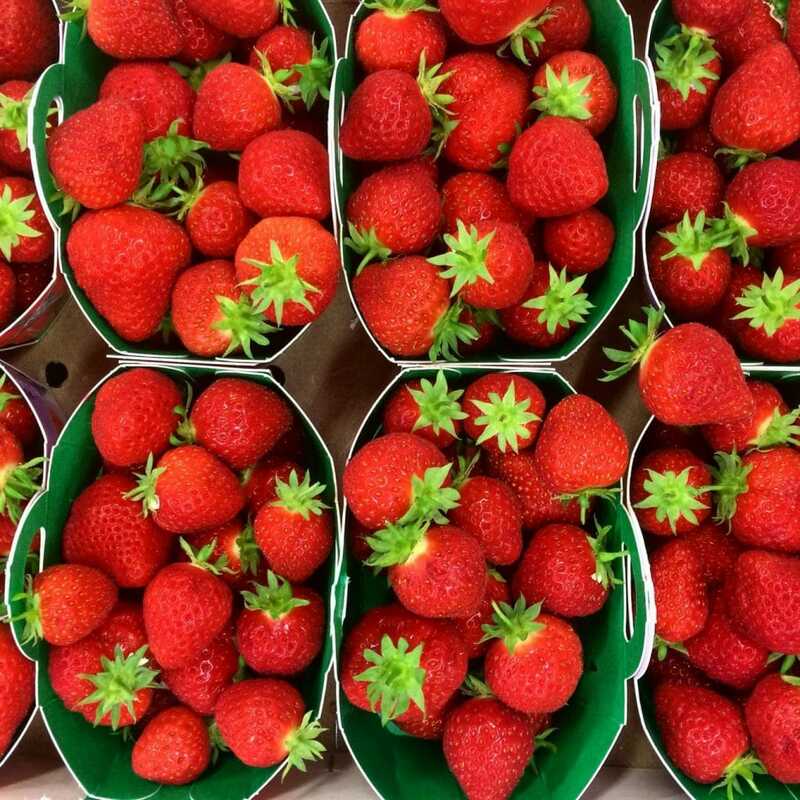 In addition to their standard flavors, the store has seasonal collections, just like the fashion industry, and we got a sample pack of eight flavors their current Jardin (garden) collection. 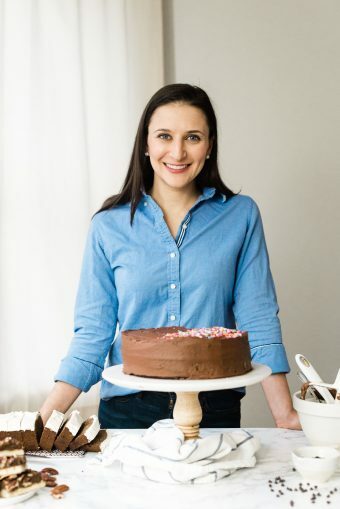 Some of the flavors we tried were dark chocolate; pistachio and apricot; milk chocolate passionfruit; yogurt, rosewater, lychee and raspberry; jasmine, mango and grapefruit; rhubarb, passionfruit and strawberry and…. 2 more that I can’t remember. I tried to make notes on my phone but the salesman was speaking so fast and my notes are so scattered that I can’t decipher them! But don’t worry, they were all amazing. We wandered through an antique market and then walked through Saint Sulpice before heading back to the apartment for dinner. 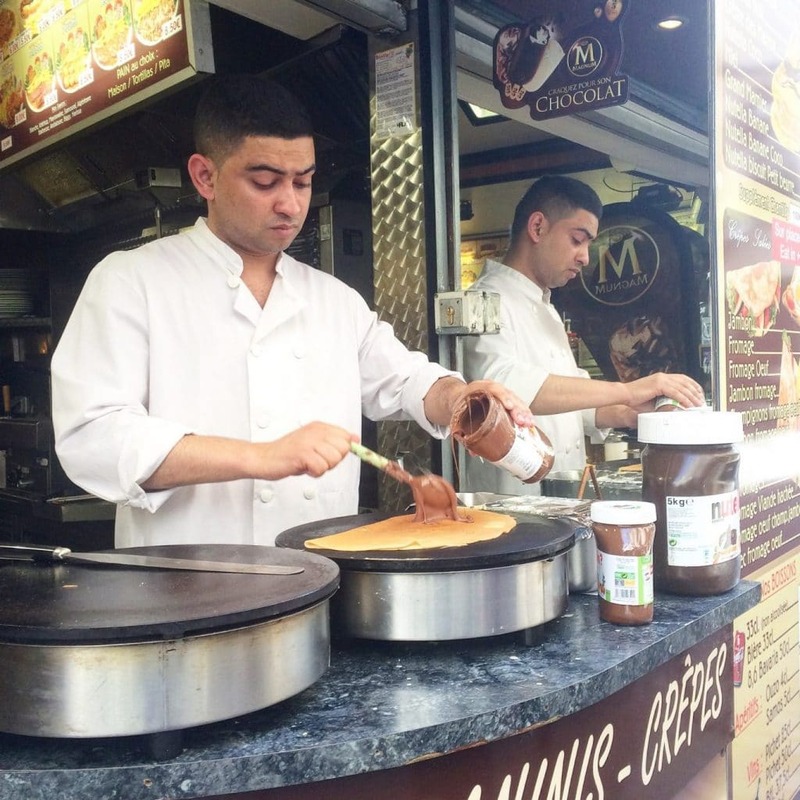 But, I decided that Bryan could not live any longer without trying a French street crepe filled with Nutella. So, we stopped for a little crepe break. Ok so once the crepe was in hand, we continued on to our apartment, where I prepared dinner. 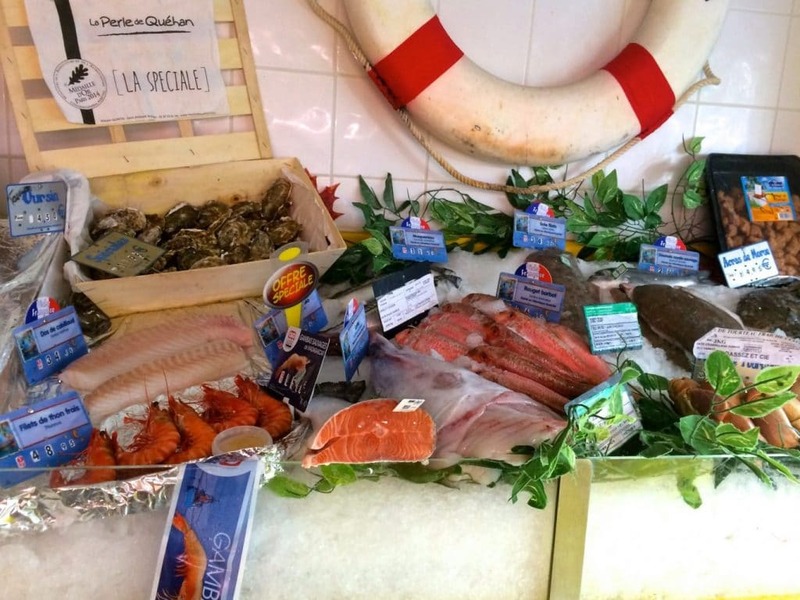 We were so exhausted from all the walking that day and leaving Paris soon, so it seemed like a great opportunity to eat some of the beautiful produce I had been hoarding, plus the leftover fish from the other night and the smoked salmon we bought at Franprix but never ate. It ended up being a serious home run of a dinner. 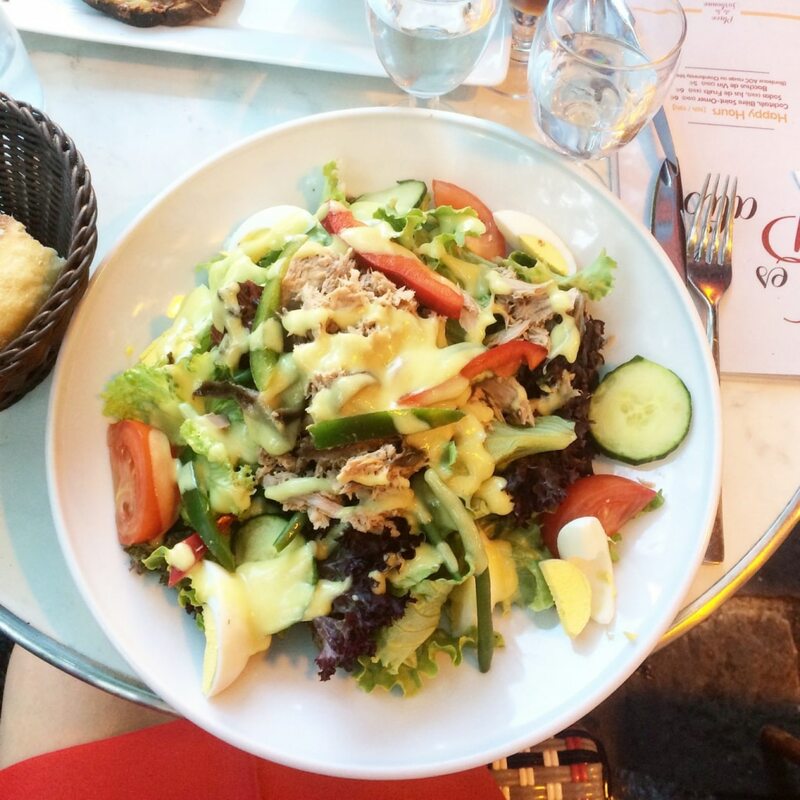 Even leftovers are better in Paris! We woke up on our last full day in Paris ready to make the most of it, but all the grueling travel, walking and jet lag was catching up with me and I wasn’t feeling too great. 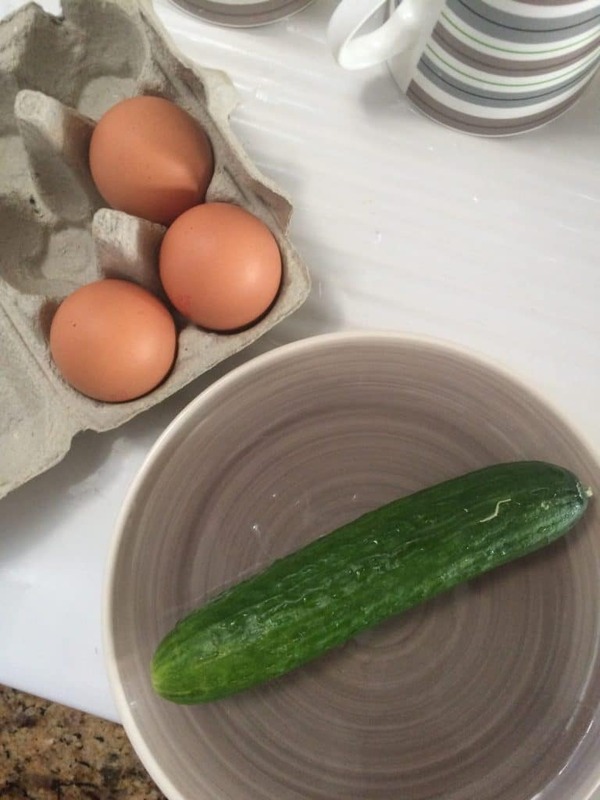 I managed to eat a fried egg and some sliced fresh zucchini at the apartment and we were off. In an effort to take it easy, our first stop was for a coffee at a little touristy cafe near Notre Dame. I didn’t get the name because it was sort of swarming with tourists, and it was one of many, many cafes along that stretch – nothing special. I also wasn’t 100% paying attention because I was more focused on rallying to make the most of our last day in the city. From there, we went on a boat tour of the Seine, followed by Notre Dame, and then it was lunch time. By that point, I was really not feeling well (luckily, this was the only day that I wasn’t feeling well the whole trip), so we literally stopped at the first place we saw on Ile de la Cite (behind the east end of Notre Dame), which turned out to be another mediocre touristy place. By most people’s standards, the food was quite decent, but you can do better in Paris, so I don’t feel bad that I felt too icky to eat more than two bites and forgot to make a note of the name of the place. You’re not missing out. 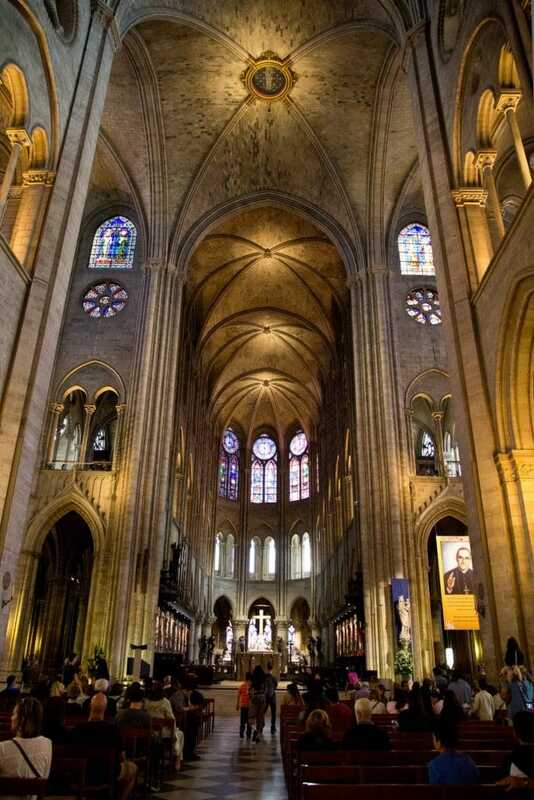 Here’s a picture of Notre Dame instead. After that, I cried uncle and we headed back to our apartment for a rest. We hung out there for awhile and after a few hours of rest, I felt much better and we headed out to find a killer last-night-in-Paris dinner. 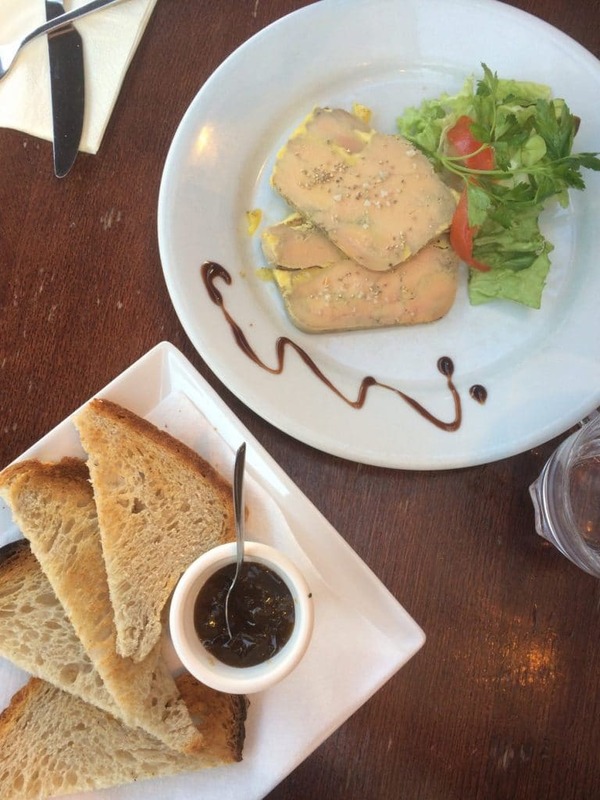 After wandering and scrutinizing about 20 menus, we finally settled on a hip brasserie situated in the shadow of the Pantheon, appropriately called Le Comptoir du Pantheon. Bryan ordered pate (with amazing fig chutney) and a steak – the two remaining items on his French food bucket list (other than escargots, which they also had on the menu, but he passed on) – while I had a tandoori turkey salad with bibb lettuce, potatoes, cucumbers and pineapple. 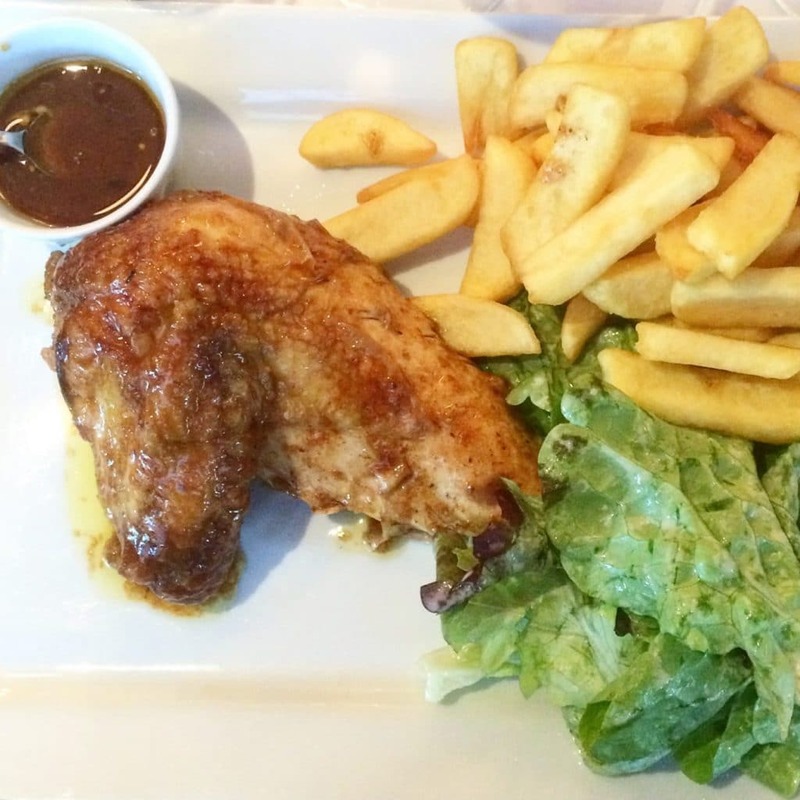 Least French dish ever, you say? Well yes, but it was really tasty and French food is more about flavor and quality than the dishes themselves, so in that sense, it was very French. We finished the meal with camembert cheese (cheese for dessert is my new favorite thing) and rose wine, walked down the street to marvel at the Eiffel Tower and take a few (hundred) selfies, and bid adieu to Paris. To be continued in Istanbul…. 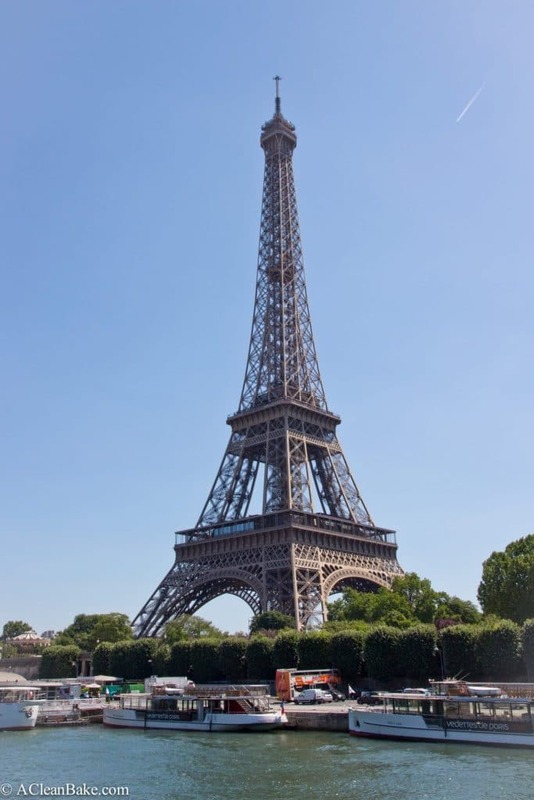 For a printable guide to all of the restaurants where I ate in Paris, please click here (or right click and select “save link as” to download the file). And for even more information, check out the posts from before I left about how I planned to eat well in London, Paris and Istanbul, and the post about where I ate in London. Yeah they were wonderful! Well the falafel and cheese were,, and Bryan said the crepe was too. 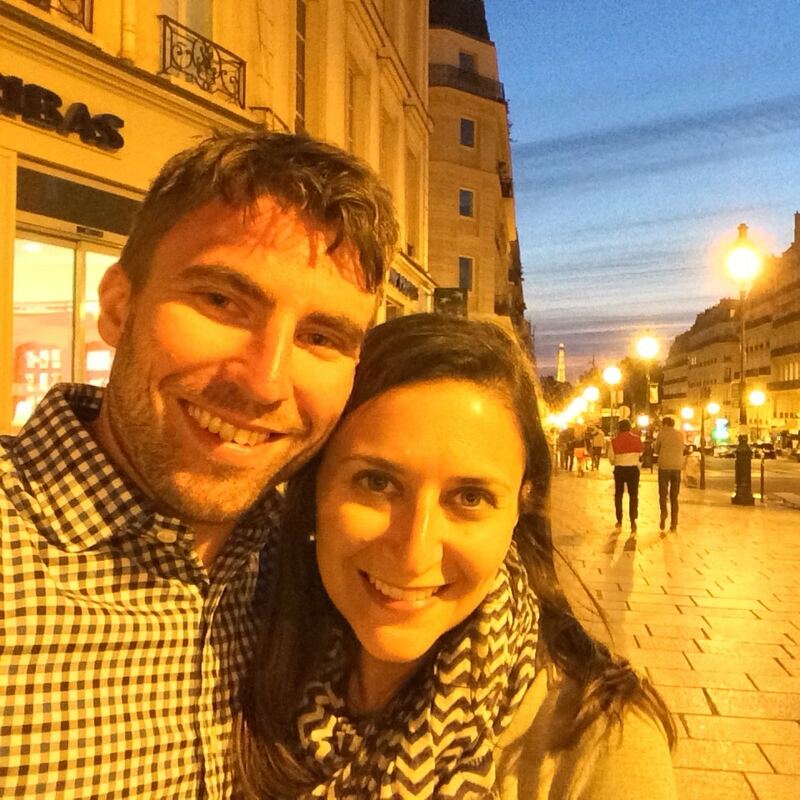 Study abroad was one of the best memories from college and you’re so right – it was wonderful to return!! Le SWOOOON!!! I loved living vicariously through your Instagram feed and only wish I were in Paris right this very second. What a lovely time (and so much good food)! That makes two of us! I wish I were there too! 🙂 It really was a wonderful trip! Thanks, Becky! I hope you get a chance to go soon!